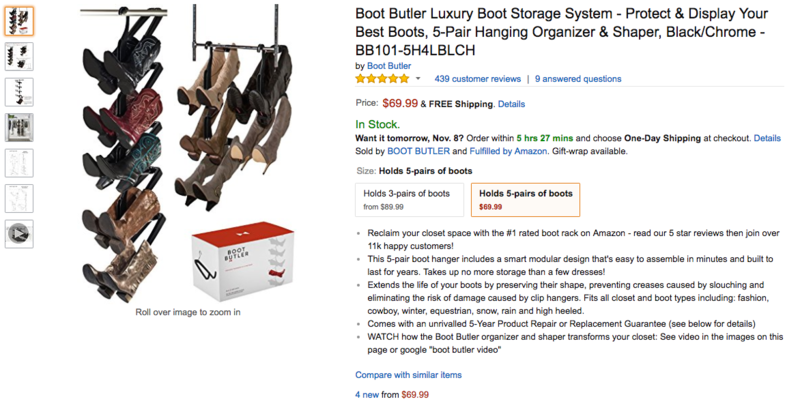 Innovative storage solutions brand, Boot Butler, hired my AMAZON LISTING SERVICE to help keep their listing performing at a high level in an increasingly challenging and competitive space. When you’re at the top, it requires significant effort to stay there! I used numerous Amazon listing optimization strategies and created persuasive, benefit lead copy designed to resonate with the predominantly female audience.